The Milena Single Bath Vanity features beautiful beveling on the doors and drawers, as well as an eye-catching hand-painted finish. Its Travertine or Baltic Brown Granite counter top is pre-drilled for simple faucet installation, and it includes an under mount ivory ceramic sink. 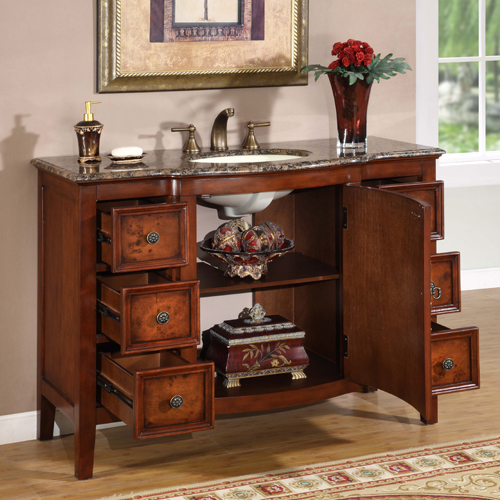 For organization and storage, this vanity provides six drawers and a single door cabinet. 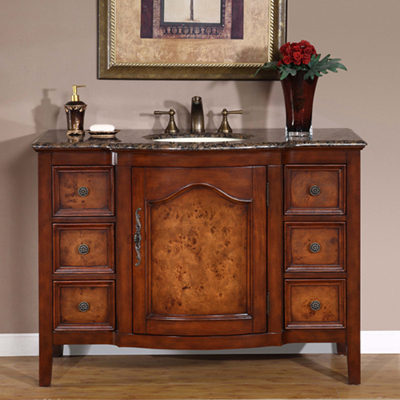 It also features antique brass hardware complements its stunning finish. The Milena provides not just a gorgeous bathroom centerpiece, but a good deal of utility as well. Faucets are sold separately.